51 Games in 1 is an iPhone game developed byDeepak Demiwal. 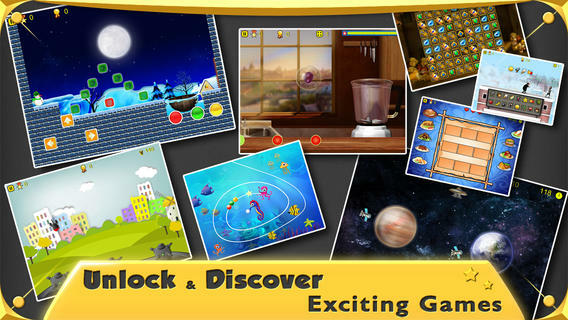 This universal app provides iPad and iPhone users with a huge collection of different casual games to enjoy. The collection of 51 games is broken up into five “packs.” Pack 1 contains ten games, five of which are playable immediately. The rest must be unlocked with coins. You can buy coins, or earn some for free by using Twitter or Facebook from within the app. Social networking activity nets you 50 coins, with Pack 2 costing a total of 1000 coins to unlock. Coins can be purchased at a rate of 10,000 coins for $4.99, or 99 cents for just 1000 coins. Ads can be removed for 99 cents. Unlocking all the games costs $4.99. Players earn 100 free coins every day by opening the app once. Some of the games you’ll encounter right off the bat include Zombie Killer (a grenade-throwing game), Treasure Puzzle (a match-3 game), and Hidden Bananas (a “Where’s Waldo?” sort of game where you hunt for hidden items.) 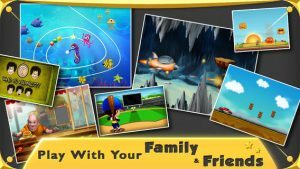 There is a lot of variety in these games, making this great for casual gamers who want a lot of different types of games on their iOS device. However, there are some aspects of these games that players might not like. For one thing, the same music plays throughout all the games and the menu screen, which gets repetitive. Additionally, some of the games are very short. The sheer quantity of games helps to make up for that, but some players may wish that the individual games went on for longer. 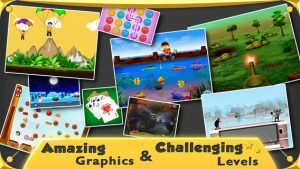 In short, this game collection is great for casual gamers who like to change up their games frequently. However, players looking for longer single games might be somewhat disappointed. Overall, however, 51 Games in 1 is jam-packed with interesting, if rather simplistic, mobile games. 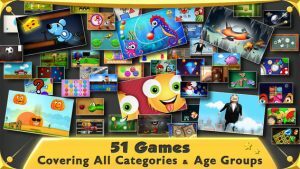 51 Games in 1requires iOS 5.0 or later. Compatible with iPhone, iPad, and iPod touch. This app is optimized for iPhone 5.